Sewell is pleased to offer you one of our new, limited use Company Cars for purchase. This vehicle was driven by a Sewell associate and has been fully maintained by our service department. As an untitled new car, this vehicle is eligible for all manufacturer rebates and incentives which are included in the advertised price. Please remember we have a limited quantity of Company Cars available. Special pricing includes $3,846 GMC rebate, $1,265 Supplier Pricing for Everyone discount, $750 GMC Conquest Bonus Cash for current owners or lessees of a 2005 or newer non-GM passenger vehicle and $1,210 Sewell discount. Not compatible with special finance, lease and some other offers. This offer is valid through 4/30/2019. Applies to stock number 5043831. Sewell is pleased to offer you one of our new, limited use Company Cars for purchase. This vehicle was driven by a Sewell associate and has been fully maintained by our service department. As an untitled new car, this vehicle is eligible for all manufacturer rebates and incentives which are included in the advertised price. Please remember we have a limited quantity of Company Cars available. Special pricing includes $3,876 GMC rebate, $1,309 Supplier Pricing for Everyone discount, $750 GMC Conquest Bonus Cash for current owners or lessees of a 2005 or newer non-GM passenger vehicle and $1,000 Sewell discount. Not compatible with special finance, lease and some other offers. This offer is valid through 4/30/2019. Applies to stock number 5043903. Please contact us to learn more about this exceptional offer. This vehicle is eligible for all manufacturer rebates and incentives which are included in the advertised price. 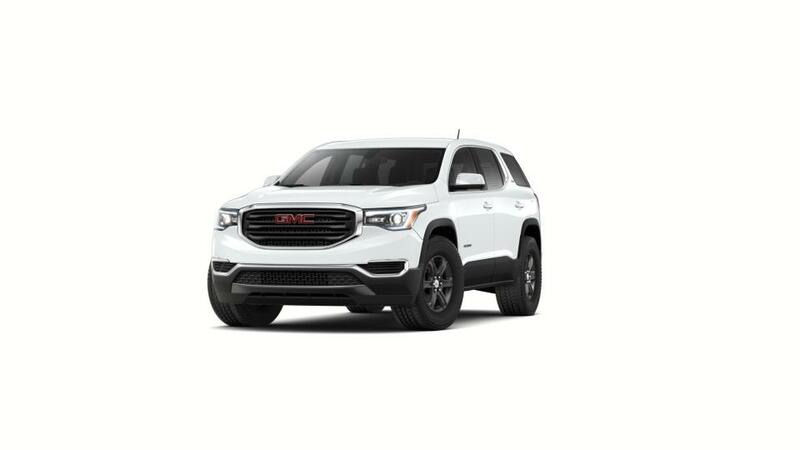 Special pricing includes $3,876 GMC rebate, $1,309 Supplier Pricing for Everyone discount, $750 GMC Conquest Bonus Cash for current owners or lessees of a 2005 or newer non-GM passenger vehicle and $632 Sewell discount. Not compatible with special finance, lease and some other offers. This offer is valid through 4/30/2019. Please contact us to learn more about this exceptional offer. This vehicle is eligible for all manufacturer rebates and incentives which are included in the advertised price. Special pricing includes $4,524 GMC rebate, $1,737 Supplier Pricing for Everyone discount and $750 GMC Conquest Bonus Cash for current owners or lessees of a 2005 or newer non-GM passenger vehicle. Not compatible with special finance, lease and some other offers. This offer is valid through 4/30/2019. Please contact us to learn more about this exceptional offer. This vehicle is eligible for all manufacturer rebates and incentives which are included in the advertised price. Special pricing includes $4,683 GMC rebate, $1,975 Supplier Pricing for Everyone discount and $750 GMC Conquest Bonus Cash for current owners or lessees of a 2005 or newer non-GM passenger vehicle. Not compatible with special finance, lease and some other offers. This offer is valid through 4/30/2019. Applies to stock number 5044048. Please contact us to learn more about this exceptional offer. This vehicle is eligible for all manufacturer rebates and incentives which are included in the advertised price. Special pricing includes $4,752 GMC rebate, $2,078 Supplier Pricing for Everyone discount and $750 GMC Conquest Bonus Cash for current owners or lessees of a 2005 or newer non-GM passenger vehicle. Not compatible with special finance, lease and some other offers. This offer is valid through 4/30/2019. Applies to stock number 5040366. Sewell is pleased to offer you one of our new, limited use Loan Cars for purchase. This vehicle was driven by a Sewell service customer and has been fully maintained by our service department. As an untitled new car, this vehicle is eligible for all for all manufacturer rebates and incentives which are included in the advertised price. Please remember we have a limited quantity of Loan Cars available. Special pricing includes $5,500 GMC rebate, $750 GMC Conquest Bonus Cash for current owners or lessees of a 2005 or newer non-GM passenger vehicle and $6,000 Sewell discount. Not compatible with special finance, lease and some other offers. This offer is valid through 4/30/2019. Applies to stock number 5024325. Sewell is pleased to offer you one of our new, limited use Company Cars for purchase. This vehicle was driven by a Sewell associate and has been fully maintained by our service department. As an untitled new car, this vehicle is eligible for all manufacturer rebates and incentives which are included in the advertised price. Please remember we have a limited quantity of Company Cars available. Special pricing includes $5,374 GMC rebate, $2,223 Supplier Pricing for Everyone discount, $750 GMC Conquest Bonus Cash for current owners or lessees of a 2005 or newer non-GM passenger vehicle and $1,653 Sewell discount. Not compatible with special finance, lease and some other offers. This offer is valid through 4/30/2019. Applies to stock number 5038687. Sewell is pleased to offer you one of our new, limited use Company Cars for purchase. This vehicle was driven by a Sewell associate and has been fully maintained by our service department. As an untitled new car, this vehicle is eligible for all manufacturer rebates and incentives which are included in the advertised price. Please remember we have a limited quantity of Company Cars available. Special pricing includes $5,404 GMC rebate, $2,268 Supplier Pricing for Everyone discount, $750 GMC Conquest Bonus Cash for current owners or lessees of a 2005 or newer non-GM passenger vehicle and $1,227 Sewell discount. Not compatible with special finance, lease and some other offers. This offer is valid through 4/30/2019. Applies to stock number 5043430. Please contact us to learn more about this exceptional offer. This vehicle is eligible for all manufacturer rebates and incentives which are included in the advertised price. Special pricing includes $5,368 GMC rebate, $2,214 Supplier Pricing for Everyone discount and $750 GMC Conquest Bonus Cash for current owners or lessees of a 2005 or newer non-GM passenger vehicle. Not compatible with special finance, lease and some other offers. This offer is valid through 4/30/2019. Please contact us to learn more about this exceptional offer. This vehicle is eligible for all manufacturer rebates and incentives which are included in the advertised price. Special pricing includes $5,404 GMC rebate, $2,268 Supplier Pricing for Everyone discount and $750 GMC Conquest Bonus Cash for current owners or lessees of a 2005 or newer non-GM passenger vehicle. Not compatible with special finance, lease and some other offers. This offer is valid through 4/30/2019.